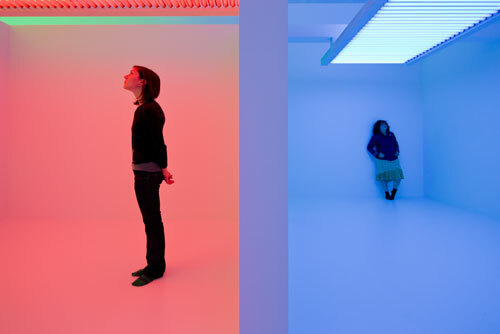 It made sense that the Museum of Contemporary Art Los Angeles’ super exhibition Suprasensorial: Experiments in Light, Color, and Space came to the nation’s capital. Richard Koshalek, former MOCA Los Angeles director, brought the well received work of his talented longtime curator Alma Ruiz to his new institution. 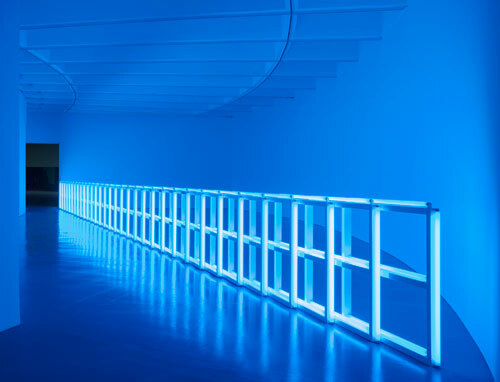 Furthermore, the Hirshhorn has an excellent collection of Latin American art (Joseph Hirshhorn having begun collecting it in well over a half century ago), and the museum hasn’t let up since, with leaders in the field like Olga Viso continuing the tradition, helping mainstream it into the international contemporary art scene. Even more to the point, Koshalek and his team clearly saw this exhibition as a piece to their puzzle. On my recent visit to the Hirshhorn, it was all about installation art. 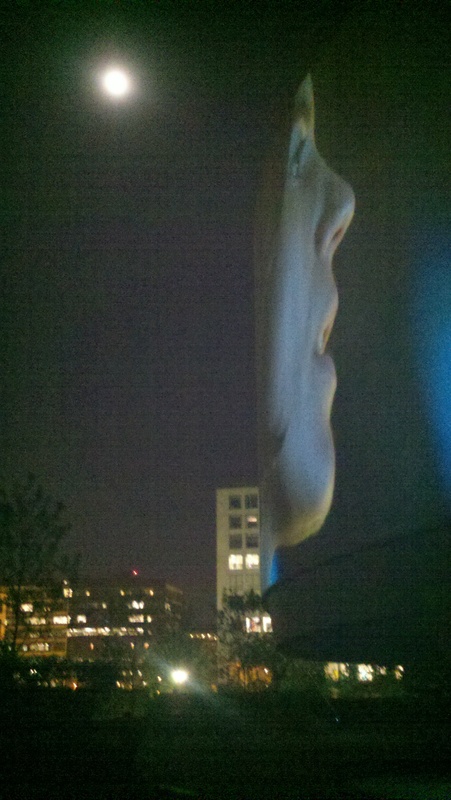 Not only on view was the present exhibition of interactive, optically challenging installation art, but Doug Aitken’s new outdoor video projection Song 1, Ai Weiwei’s Zodiac Heads handsomely arrayed around the circular pool of the interior plaza, and a permanent collection display of installation pieces. This all anticipates Koshalek’s “installation-like” inflatable structure, the “Bloomberg Balloon,” designed by Diller Scofidio+Renfro, opening for programming in 2013. All this activity acknowledges that some of the most exciting work today is occurring with installation art and Suprasensorial—a word coined by Hélio Oiticica—is an excellent reminder that the artists included in this show—Carlos Cruz-Diez , Lucio Fontana, Julio Le Parc, Oiticica, and Jesús Rafael Soto—were engaged in this experimental medium decades ago. 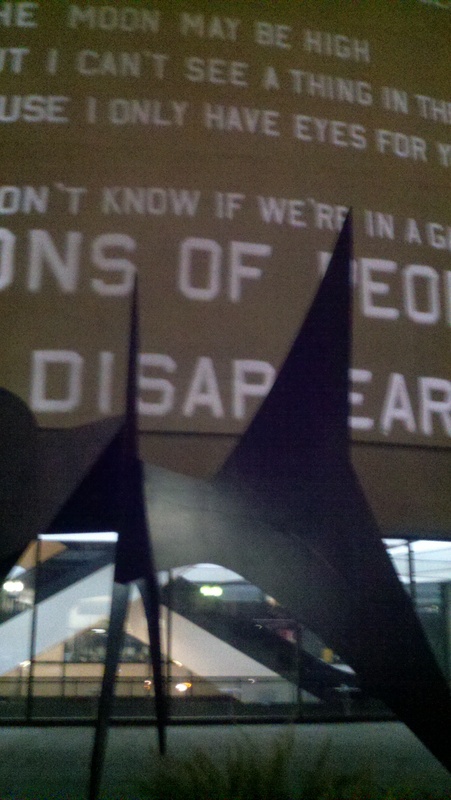 For more information go to www.hirshhorn.si.edu.